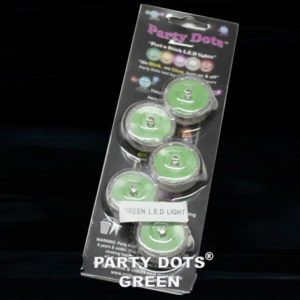 Party Dots® are a peel n stick L.E.D light – So small and yet super bright. 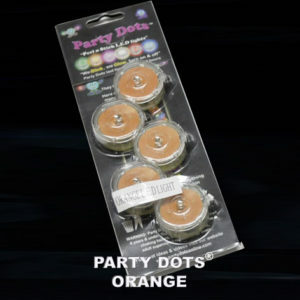 About this size of a 10c coin, they have adhesive on the back so you can peel and stick them almost anywhere, or just place them, you can even put them inside balloons to create great balloon lights. 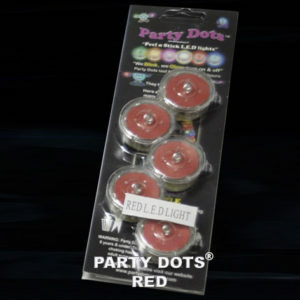 Party Dots glow brightly or blink slow or fast by pressing the tiny switch on the side, you can also turn them on and off. 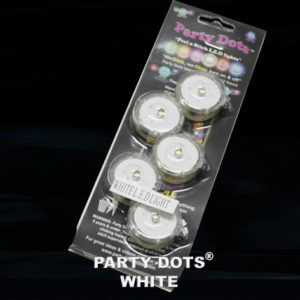 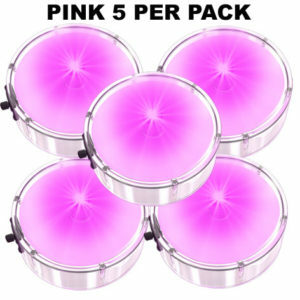 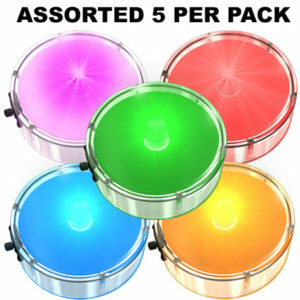 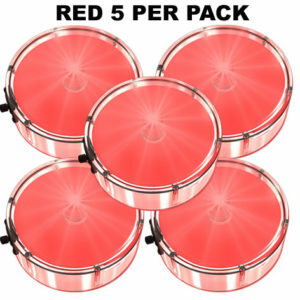 Party Dots include batteries, which are not replaceable and when you buy them in bulk you save $10. 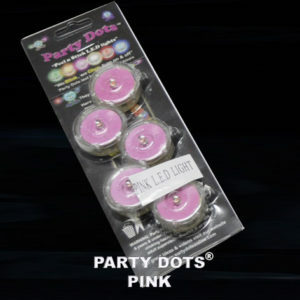 For wholesale prices on Party Dots® or for special pricing for Schools and Charities, see our Wholesale page in the top menu. 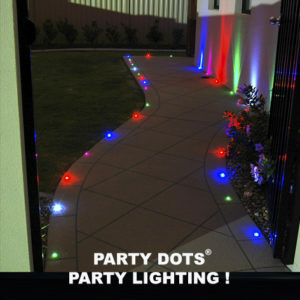 Party Dots® are such a great party light, path lighting, garden lighting, stick them to trees, stick them anywhere. 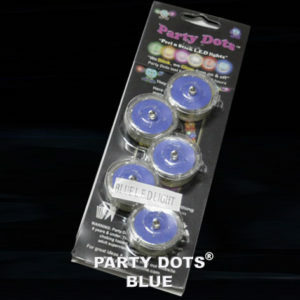 This video will help you understand the many uses of Party Dots® and how much fun they are to use. 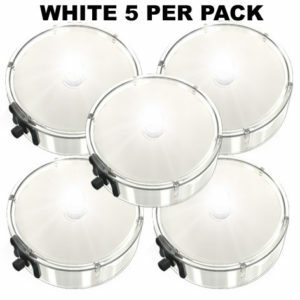 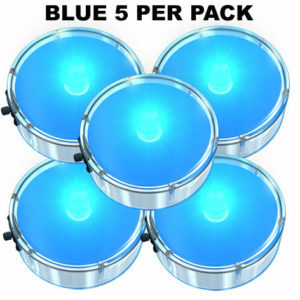 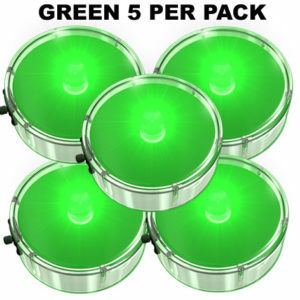 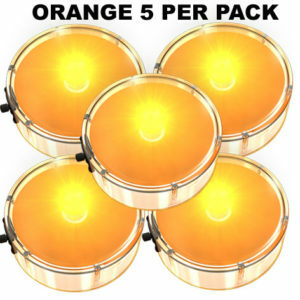 They are great value for money and by buying in bulk you will save even more money. 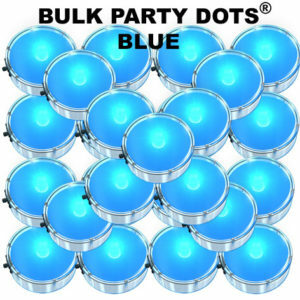 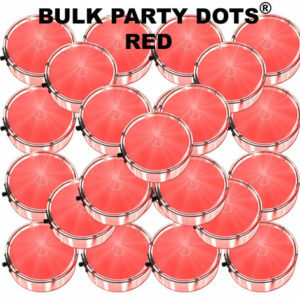 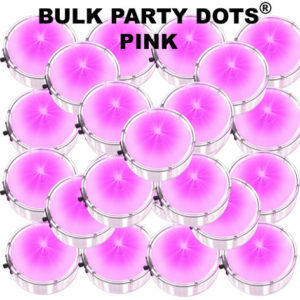 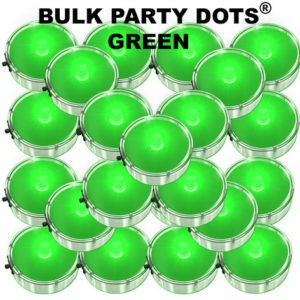 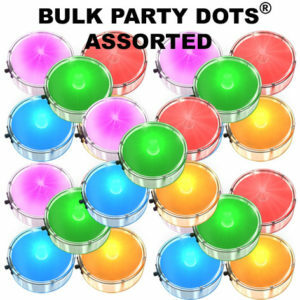 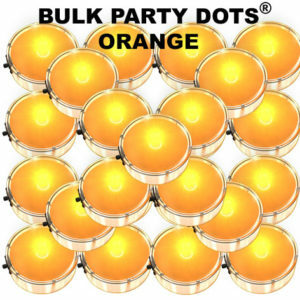 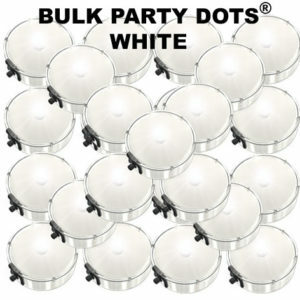 Save Money by buying in Bulk – see below for Bulk Party Dots® – 50 per pack.